Last year, I signed up for a wonderfully ambitious initiative spearheaded by our Governor General, His Excellency David Johnston. 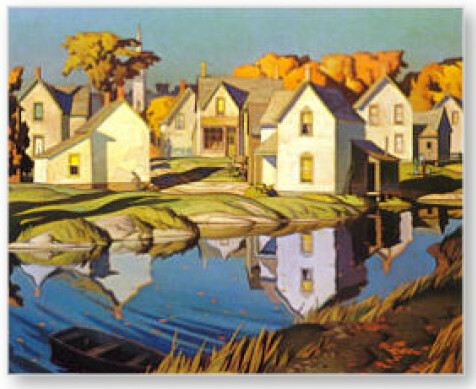 I was invited to join a Group of Seven who will serve as catalysts to rolling out David Johnson’s vision of a Smart and Caring Nation built by a set of Smart and Caring Communities, ultimately aimed to be a major national initiative to commemorate Canada’s 150th birthday, or sesquicentennial, in 2017. I was very much honoured to be asked and, although it is a dauntingly large not to mention a somewhat unspecified, goal, as a proud Canadian who knows first hand David Johnston’s unique ability to lead and motivate, I quickly agreed to this call. I’ll share more about this initiative in order to seek your input. Since no small group can be representative of our huge and diverse nation, it is important the we engage in much dialogue from Canadians of all ages and demographic profile, in order to achieve maximum impact and relevance. As a way to start that conversation, I’d like to share some of my perspectives on Smart and Caring 2017. This whole project starts with a great foundation in our Governor General’s Smart and Caring vision for Canada. And here is why his singular leadership is so critical to this initiative. David Johnston has a long track record of motivation. Back in 2006, as President of Unviersity of Waterloo, he challenged the already ambitious and successful business, community and government leaders in Waterloo Region to reach even higher. Issued in November 2006, his Ten Goals to Make Waterloo Region Canada’s Knowledge Capital are a blueprint that inspired and motivated real change and continue to have an impact today. “We are a Smart and Caring Nation. A nation where all Canadians can grow their talents to the maximum. A nation where all Canadians can succeed and contribute. To build on that vision as we near the sesquicentennial of Canada as a country in 2017, His Excellency has challenged Community Foundations of Canada and the growing network of 191 grass roots Community Foundations across our country. He wants them to lead a groundswell movement, in each and every community and nationally, for Smart and Caring 2017. With that vision as inspiration, and as a passionately proud Canadian, here is my perspective on Canada as a nation. We were not formed by revolution, as is the case in many other countries like the USA or France. True to our character, our particular style of nation-hood opted instead for evolution at a slow almost glacial pace. You might almost say that Canada pioneered nation building by committee. Specifically, a series of meetings commencing with the Charlottetown Conference, 150 years ago in 1864, led to Confederation on 1 July 1867. I would argue that, as a nation, we were more defined by what we were not — ie. no tea parties or revolutions to overthrow a king. Instead, via peaceful change we enjoyed a tabula rasa upon which to architect a unique nation in those lands north of the growing United States of America. The process was slow. We remained essentially a colony with large parts of the country feeling more British than Canadian for many years. Consider how long it took us to have a non-British Governor General (Vincent Massey, 1952), our own flag (1965, replacing the Union Jack) or our own constitution (repatriated from Westminster in 1982). Until the late 20th century, innumerable British colonial vestiges remained. Many people argue that Canadian heroism and sacrifices for the motherland in World War I, just 100 years ago, started the modern trend of a strengthening Canadian identity both internally and as a nation on the global stage. Shortly after WWI, an influential group of painters, the original Group of Seven artists, created a truly Canadian vision of our country through direct contact with nature and our awe-inspiring landscape. Their work was notably distinct from the prevailing British styles of Turner, Constable and later British or European artistic styles. Canada’s Centennial in 1967 marked a major inflection point for Canada. We had come through two world wars with a strong sense of national identity, supported by the burgeoning post war economy. Canada proudly led on the world stage with the likes UN Peacekeeping, Expo ’67 in Montréal and the uber cool federalist Prime Minister Pierre Elliot Trudeau. Set right in the middle of the swinging 1960’s, our centennial celebrations in 1967 were a wonderful time to be alive. Besides Expo ’67 and the quaint historical “centennial” costumes people wore, today we are left with innumerable Centennial arenas, parkways, libraries, etc. These major investments in infrastructure are present with us today. I recall that time with pride and fondness. Because the 21st Century seems so different than the previous, what kind of movement should honour Canada’s 150th birthday. It is a complex question, but I believe that if we can mobilize almost all communities across Canada into activities and projects inspired by the “Smart and Caring” mantra, like a national pot luck dinner we would effectively crowdsource some of national, and even, international significance. Once again, we have a unique opportunity to make positive changes while setting a positive example for the world. It is important to understand that, because each and every community is unique, communities must have the freedom to launch initiatives that directly suits their unique needs. Nonetheless, with diverse initiatives considered collectively, I believe that, taken as a whole we can shape and inspire the Canada of the future. We have so many advantages and the time is right to embark of nation building for the 21st century. Because no group, no matter how large, can be sufficiently inclusive, that is why it is absolutely imperative that we, who have been honoured to help make this happen, hear from as many Canadians as possible. Please weigh in here with comments or find other ways to get involved. And, I hope to provide more updates and opportunities to engage, participate, shape and drive Canada’s 150th birthday celebrations – Smart and Caring 2017. Please start by sharing your thoughts on what Smart and Caring 2017 means to you.